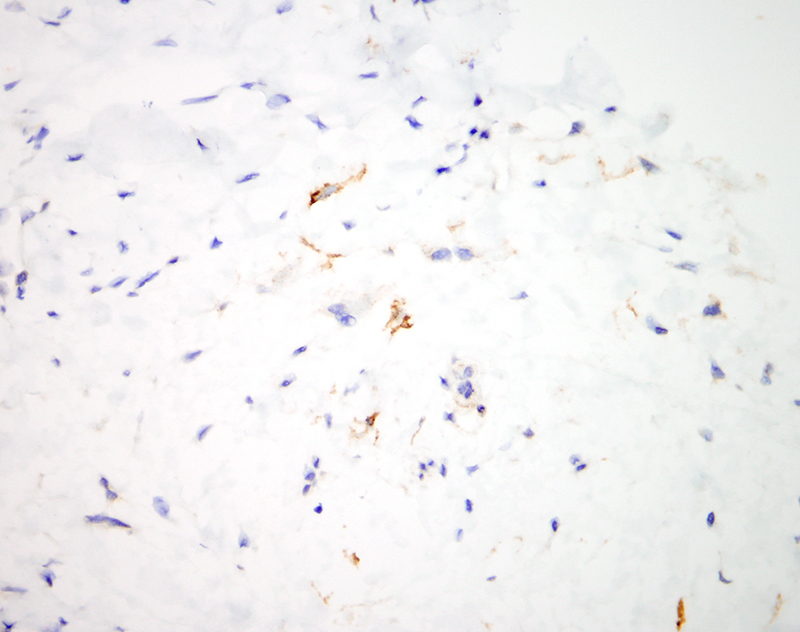 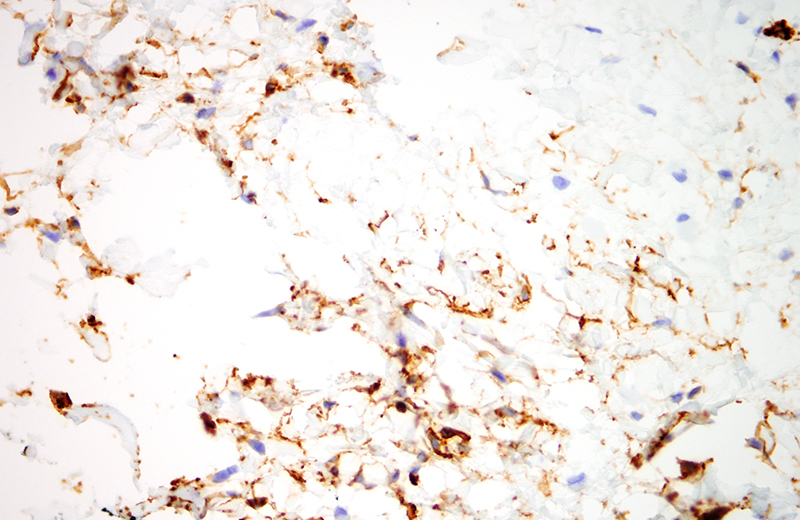 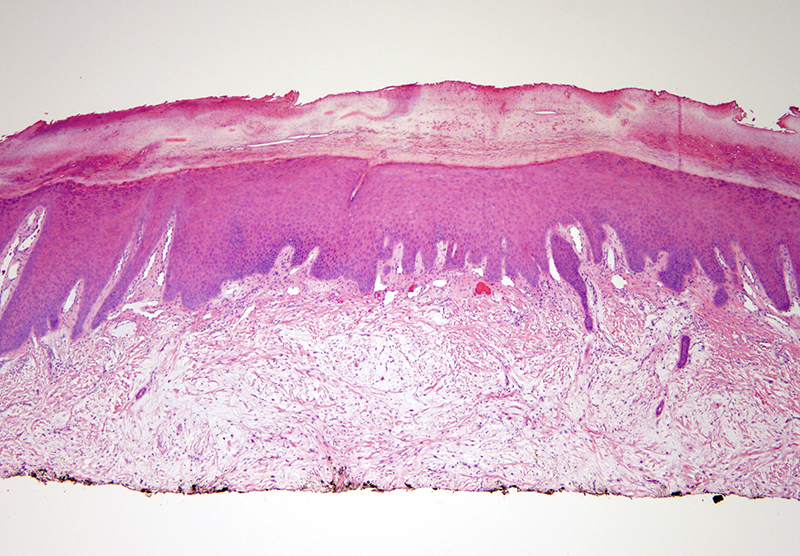 Well differentiated fibromyxomatous neoplasm most compatible with a superficial acral fibromyxoma. 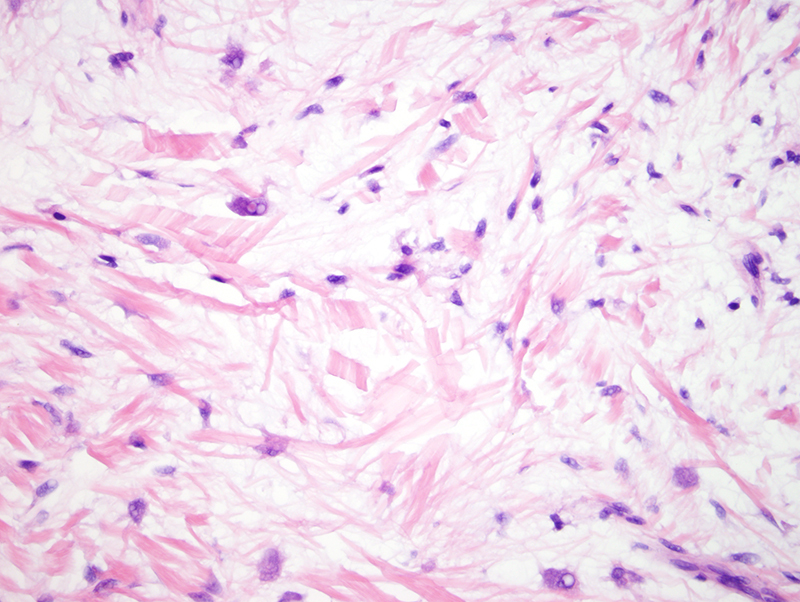 This is a relatively rare acral-based tumor whereby the baseline histomorphology is quite well exemplified by this case, being a bland spindle cell proliferation embedded in a fibromucinous stromal matrix associated with a distinct phenotypic profile characterized by epithelial membrane antigen and CD34 positivity. 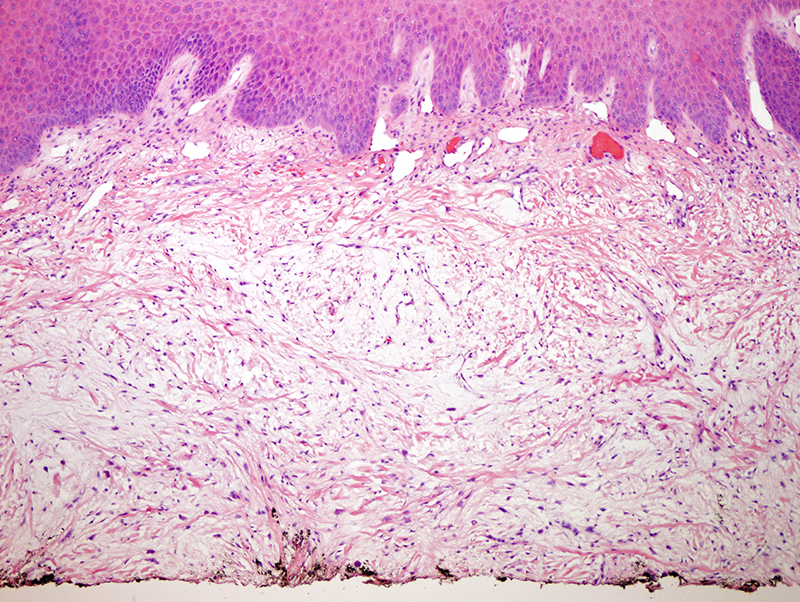 This slow growing tumor is most characteristically found in the periungual and subungual regions of the fingers and toes of adults.